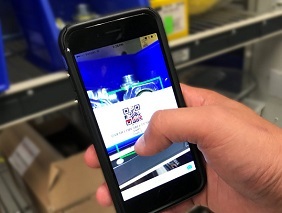 Real-time visibility of an unlimited number of stocking locations and an unlimited number of supplier catalogs so that you can optimize your replenishment and inventory control processes. Detailed consumption records provide you with the data necessary to go lean by reducing carrying costs, avoiding excess purchases, and achieving material savings opportunities. Eliminate the manual process of cycle counting your stock levels every time you need to replenish your inventory. With MarginPoint tracking each inventory transaction, demand signals can be generated automatically based on the desired replenishment method for each stocking location. Start off every job or service on the right foot by having all the materials and tools necessary to complete the job the first time. Worrying about inventory or your fleet needing to make time consuming ‘emergency’ purchases is a thing of the past. Not only is it important to send the correct technician, it’s important to send the correct technician with the correct parts. MarginPoint is the leading provider of mobile enabled, collaborative inventory management solutions for distributors, suppliers and their customers. What Would You Do with An Extra 4 Hours Per Day? Many companies often tell us that managing their inventory is a challenge and managing inventory with multiple locations (whether it’s a warehouse, truck or stockroom) is an even bigger struggle….